Title: Tabula Aphricae IIII. Publication: Geographiae universae tum veteris, tum novae absolutissimum opus... Auctore eodem Io. Anto. Magino Patavino..., Cologne 1597, Petrus Keschedt. 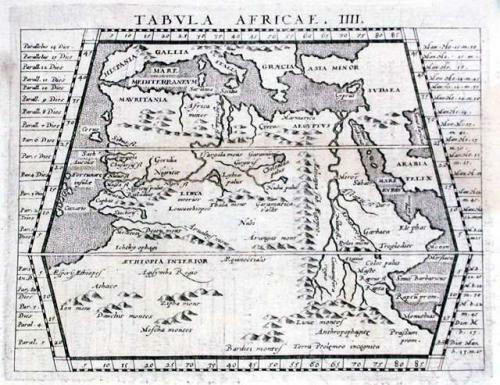 A Ptolemaic map of African showing showing the source of the Nile in the Mountains of the Moon. Based on the 1561 Valgrisi edition. Text on verso.